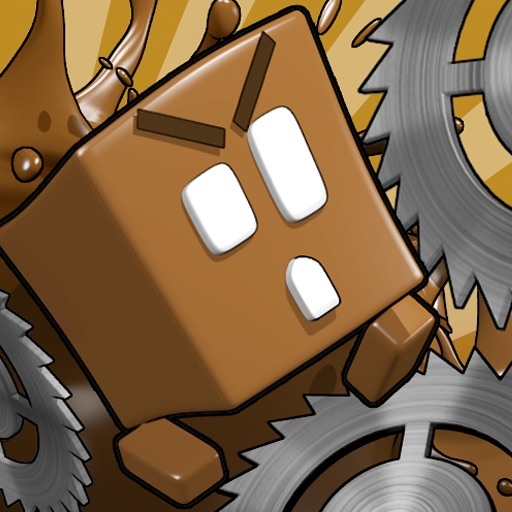 Choco, our bravest piece of chocolate ever, is lost in a strange dimension filled with obstacles, and danger lurking in every corner! 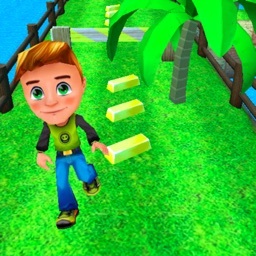 Help him find his way home in this addictive platformer that will test your skills, timing, and dexterity! 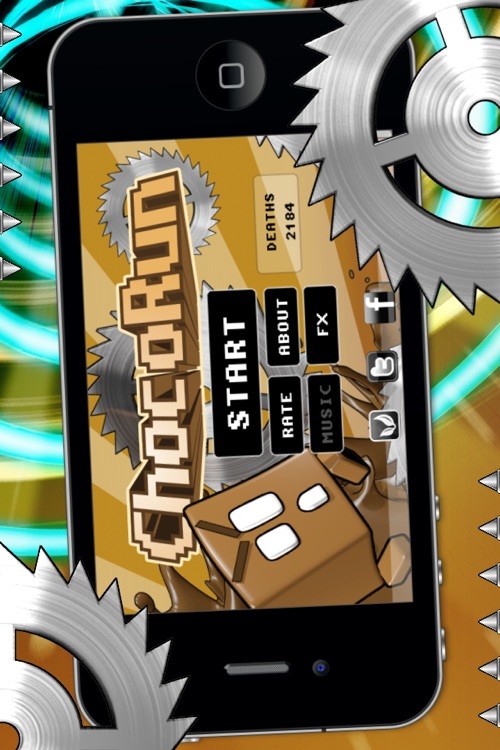 Easy to learn but difficult to master, ChocoRun is not another average mobile game! 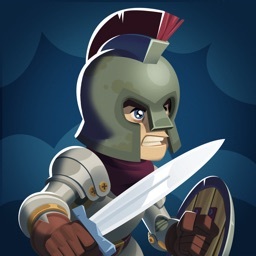 It's a very challenging game that will keep you on your toes, and mesmerize you with it's increasing level of difficulty, and addictive gameplay! 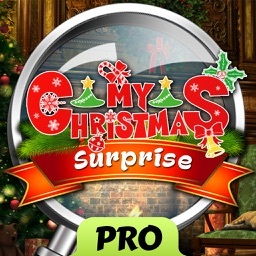 Each and every level will have you further on the edge of your seat as the challenge deepens, and the levels becomes more treacherous, taunting you to continue playing! 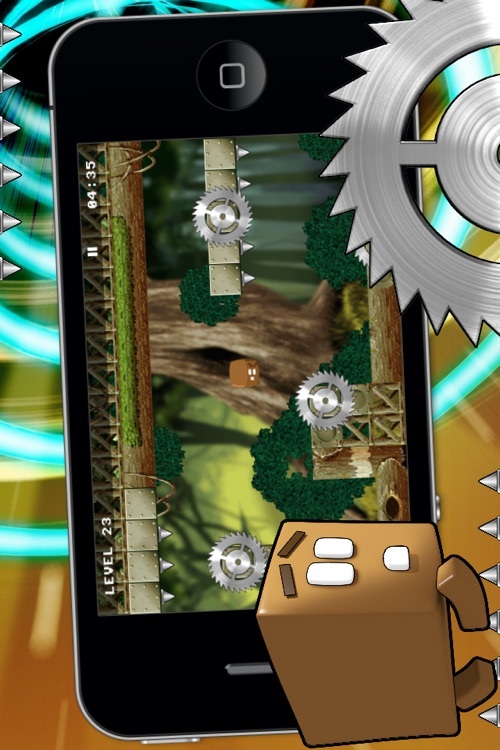 ChocoRun establishes a new game category on iOS, the guided platformer. 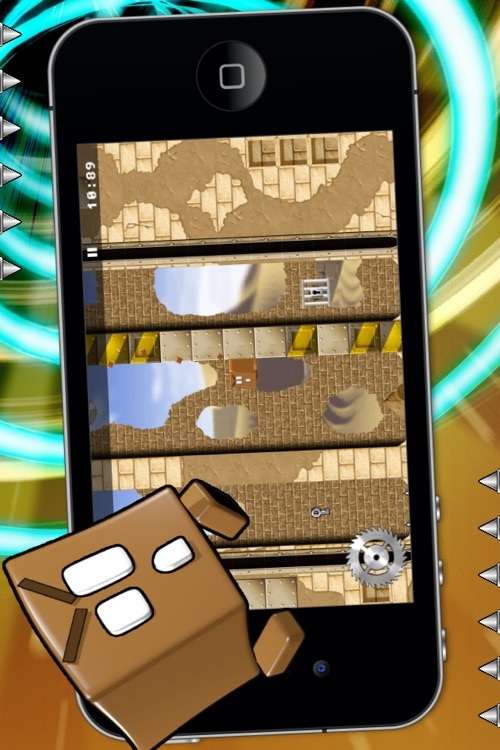 While Choco continues to run forward, it is your job to skillfully time your jumps and maneuvers through each level . No on-screen controller to mess your game, just tap anywhere on the screen to charge a jump and then release to perform it. Precision, speed and open eyes are a must! 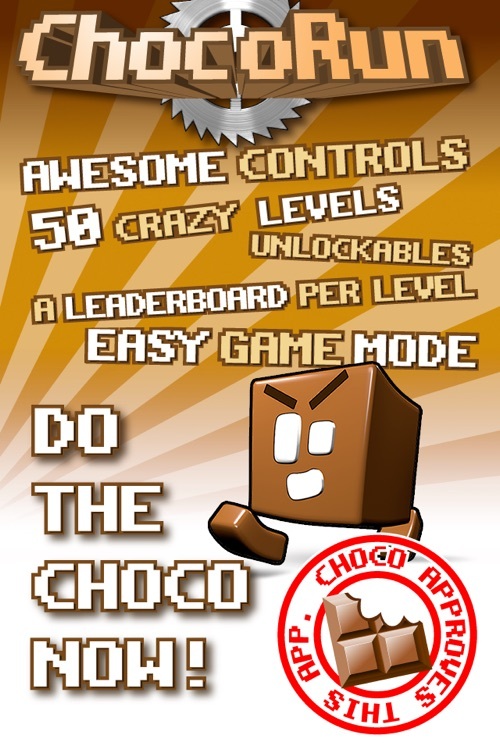 You'll have 50 full-blown levels for a Choco action madness! 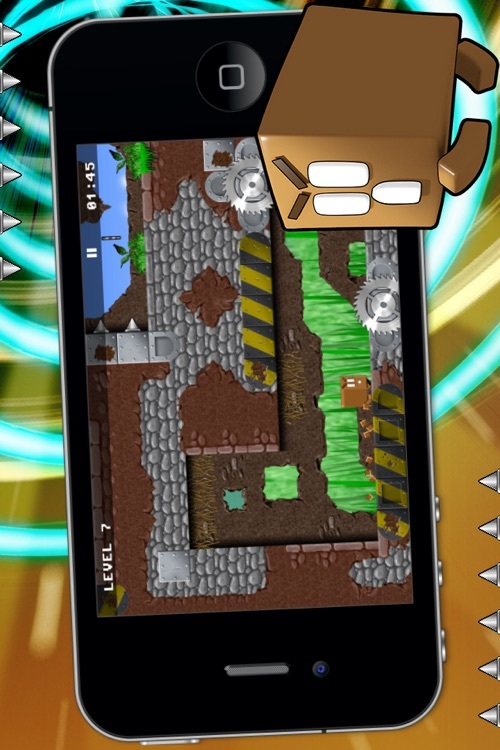 Levels are filled with hazards like sawblades, spikes, sawblade cannons, bouncers, moving sawblades, teleports and... lots of sawblades! 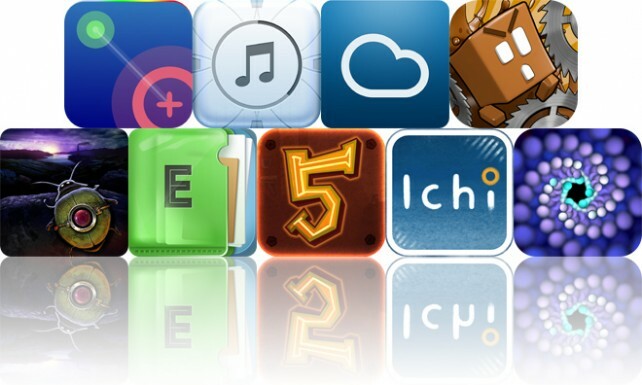 Try to beat every level as fast as you can to get a rank of 3 stars on all of them! 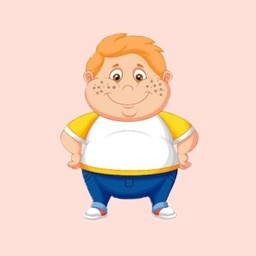 ChocoRun features original tracks from the great Ozzed to keep you engaged and motivated, you'll love them! ChocoRun is Openfeint enabled, featuring leaderboards and achievements, so you can share your score with players around the world. 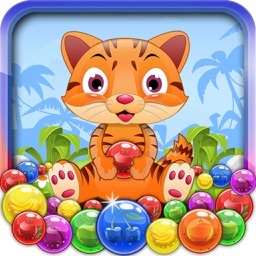 Keep track of your friends scores and try to beat them like a Choco pro! Also great achievements will reward the best players out there! But that's not all, social features continue with Facebook and Twitter to let the world know your last best score right on your wall and timeline! 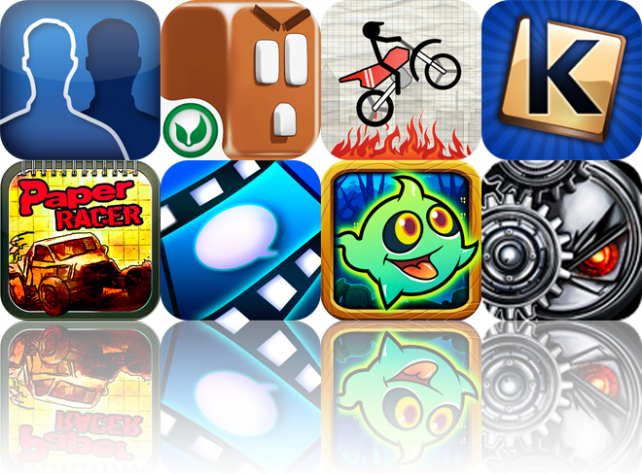 Today's AGF list includes a prank app, a chocolately platform game, and a physics-based racing game.